The Lord began to teach me to pray His Word during a very dark season in my life. But, through that dark season, He has continued showing me treasures found in His Word and how praying through His Words aligns our hearts with His purposes. Praying His Word is for the weak and broken, like me, who often don’t have the words to pray. Praying God’s Word is for the desperate, like me, who need to know they are praying God’s Will. Praying the Scriptures is for all of us. Why pray God’s Word? Why not just pray? Well, just praying is a GREAT thing. Praying God’s Word is even better. “God has handed us two sticks of dynamite with which to demolish our strongholds: His Word and prayer. What is more powerful than two sticks of dynamite placed in separate locations? Two strapped together.” Beth Moore, from the study Living Free: Learning to Pray God’s Word . 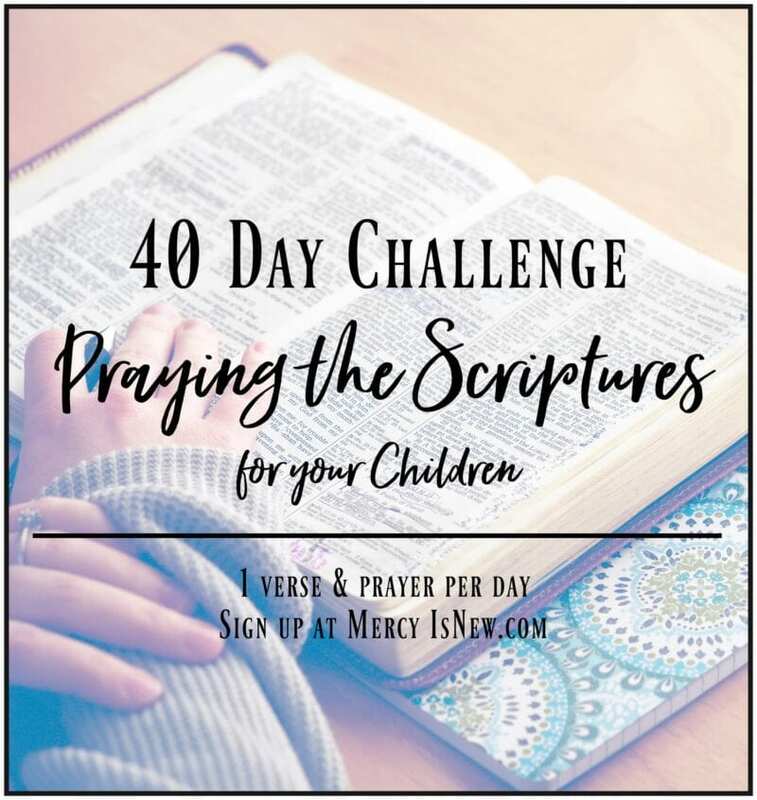 Exactly one year ago I shared 31 verses to pray for our families…and you all loved this resource so much that I began creating a new set of verses each month for us to pray together. 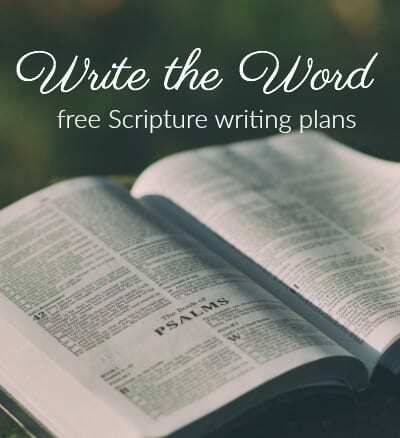 Now that I have a full year of verses to pray, I wanted to give that to my readers as a small gift for subscribing and sticking around this little space on the web. Now, I have not edited these or made them anything special or pretty…I just took each month and added it to a file for you! Coming very soon to the shop I will have a prettier version for you that will cost just a few dollars. But I wanted my subscribers to have this small freebie as a “thank you” gift. If you are not already a subscriber, please subscribe here to my blog. By subscribing, you will receive each blog post by email as well as occasional newsletters that contain COUPON CODES and FREEBIES. You will also receive the FREE ebook described on this page. If you already subscribe to His Mercy is New be checking your inbox tomorrow (9/30) and I’m sending out this freebie to all subscribers! 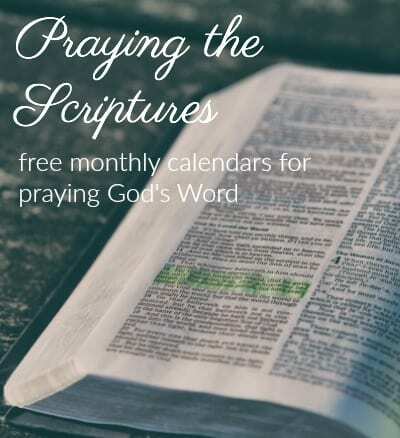 Living Free: Learning to Pray God’s Word – I had no idea that this Bible Study from Beth Moore existed! It is EXACTLY what God has been placing on my heart these last 2 years about praying His Word! Fervent: A Woman’s Battle Plan to Serious, Specific and Strategic Prayer – this is more than a book, written by Priscilla Shirer, it is a tool with specific and practical instructions on how to create a STRATEGIC prayer and battle plan to fight the enemy. Highly recommend this book! Praying Over God’s Promises: The Lost Art of Taking Him at His Word – if you need help in clinging to the PROMISES of God and PRAYING them, this book is excellent!